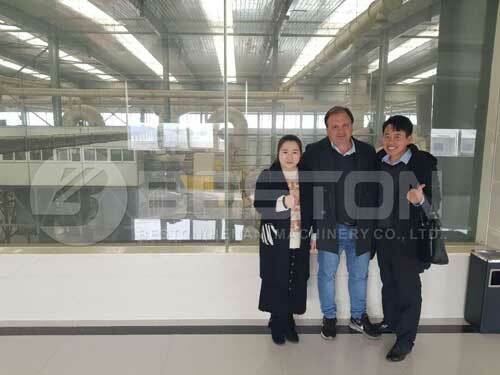 American customer visited Beston sorting machine factory in Shangqiu City of Henan Province on July 13, 2018. 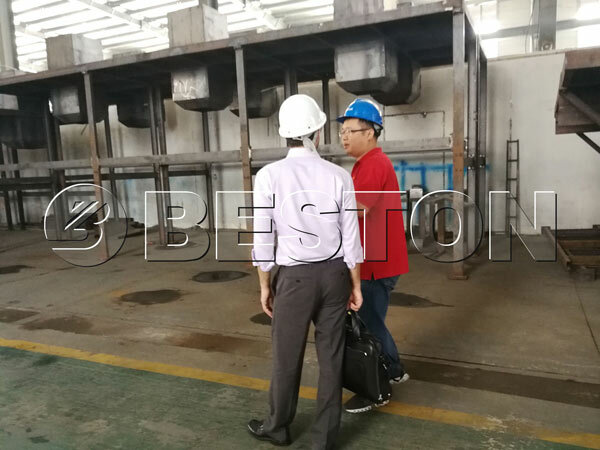 The factory Director Mr. Wang and the sales consultant accompanied with him to visit the latest model of Beston solid waste treatment plant. The customer has visited China several times since he decided to invest in waste sorting lines in his own city. He has visited many sorting machine factories in China before he came to Beston. He said he was impressed by the high quality, professional attitude and all-around services of Beston, that was why he had a strong intention to cooperate with us. 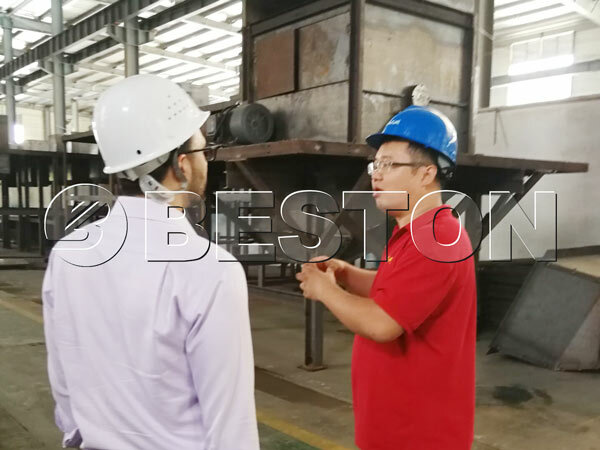 Under the guidance of the director and the consultant, the customer got to know the function and working process of each part of the sorting machine. 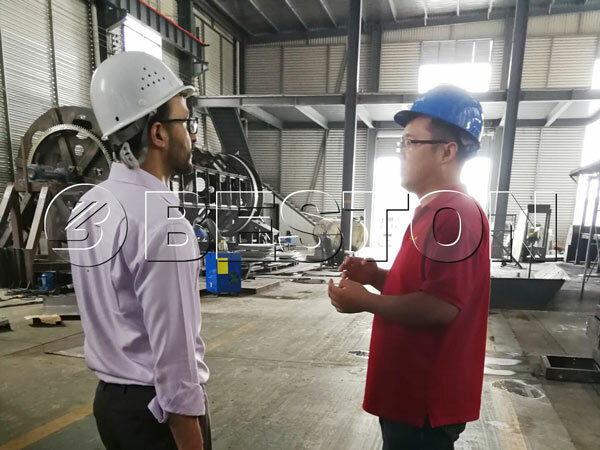 The customer needed two sorting lines one is 500T/D and the other is 300T/D, so they also talked about some details of the sizes and costs of the machines with different capacities. At the same time, the customer is also interested in the pyrolysis plant which can turn waste plastic and tires into fuel oil. The pyrolysis plant is a follow-up plant for Beston waste recycling plant, for most customers who want to maximize their profits from waste treatment, this plant is a good choice indeed. 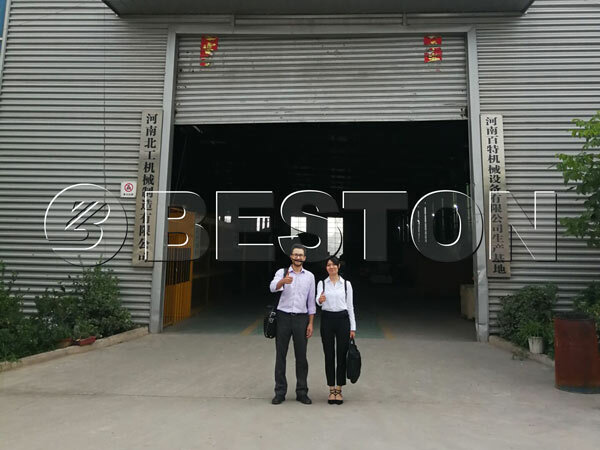 The customer also believed in this, so he asked us to take him to visit the pyrolysis plant workshop of Beston and got to know more details of the plant. One of the reasons why Beston waste recycling plant for sale can stand out among so many similar machines at the international market lies in the considerate design for the follow-up equipment. We really care about the industry of waste to energy and care about a sustainable development of our planet. What’s more, we care about every customer who wants to invest in this industry and get profitable returns from their investment. If you are also interested in Beston waste recycling plant, you can leave your message now.